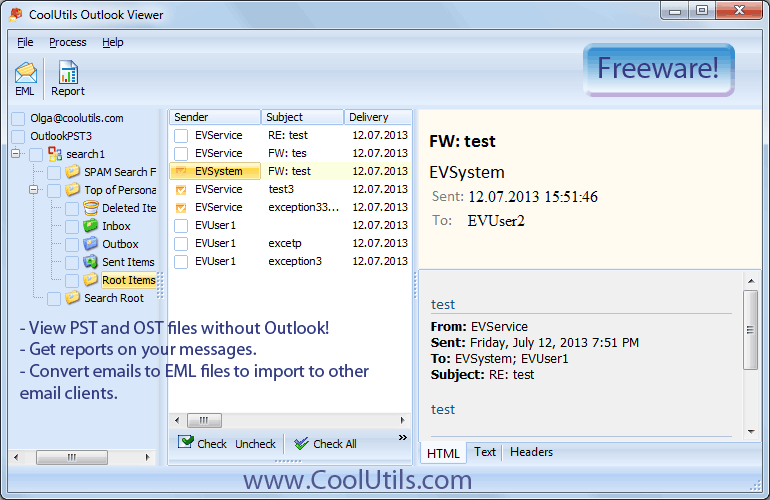 If you have PST and OST files on your PC and you don't want to install Outlook, you can use Outlook Viewer - a free and handy utility for viewing contents of PST/OST files. CoolUtils group hires a team of professional software developers. We maintain a lasting relationship with the vast user community and we are ready to accept feedback from our clients and introduce new features to our products based on our clients' suggestions and requests. For instance, there was a time when users kept asking us why the program had no print option. We responded quickly by adding it, and now you can make as many printout of your PST/OST files as you wish. 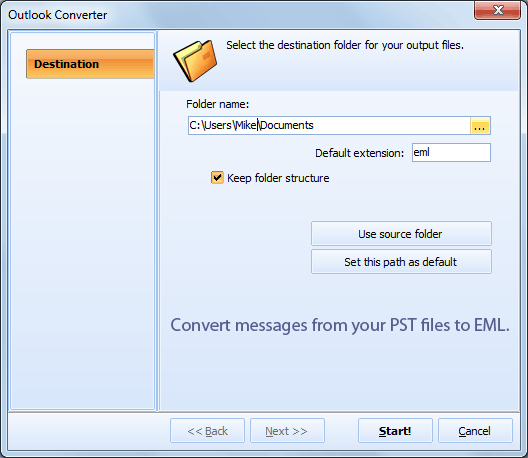 Since then, many users refer to Outlook Viewer as 'Outlook Printer. To understand how to print Outlook emails, read the following paragraph. Launch the viewer and open the File menu in the top left corner of the interface. Select Open Outlook data file, then select the file in the folder. Press Open, then navigate the file tree and select the directory, which contains your target OST file. In the list of OST files, click on the one, which you need to view and print. The content will be displayed in the right-hand panel. Make sure your printer is connected to your PC and is working properly. 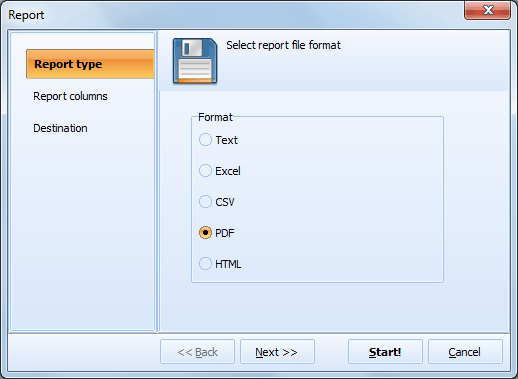 To print the document, click on the Print icon in the upper left corner. You can also print several files in batch. If the folder that you have selected contains more than one OST file, you can check them one by one and press "Print". The program will print your documents one by one too. As you can see, this program is handy, functional and, what's really important, free in all aspects. It is free of charge and adware or malware! Download the program and start making printed copies of your emails right now!